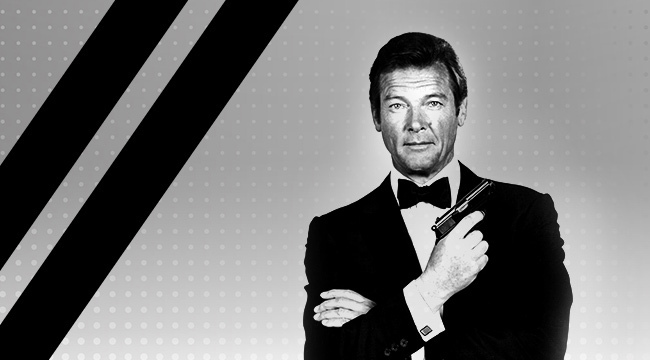 Legendary actor Roger Moore most known for taking over Sean Connery's role as James Bond has passed away at the age of 89. Sir Roger Moore played Bond in: Live and Let Die (1973), The Man With The Golden Gun (1974), The Spy Who Loved Me (1977), Moonraker (1979), For Your Eyes Only (1981), Octupussy (1983), and A View To Kill (1985). Moore's Bond was most famously known for being a lover, and not killer in the mold of Sean Connery and Daniel Craig. Tonight we will all have a Martini Shaken Not Stirred in your honor James!